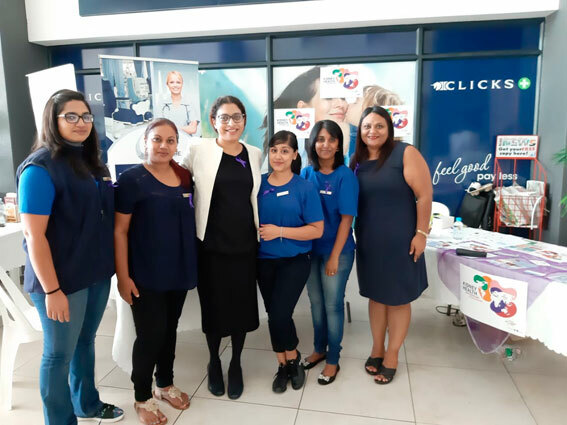 Shifa Hospital commemorated World Kidney Day on Thursday, 14 March where they had an awareness campaign at the uMhlanga Medical Centre. Speaking at the awareness were, Dr V Reddy and KZN Home Therapy manager, Dejmaine Raju. Dr V Reddy said, “Due to the global burden of renal disease and limited access and availability of resources in our country , to majority of the population in South Africa, our focus should be on prevention and early detection of kidney disease and regular screening of the at risk population such as those with diabetes and hypertension. “National Renal Care offers a Healthy Start Programme which is a lifestyle management programme to assist you to remain healthy for as long as possible while also retaining a high quality of life. “This is a free service to high risk patients. Knowing about your kidneys and putting this knowledge to work can help you maintain your health for years,” said Dejmaine Raju.